Quick & Easy Thai: 70 Everyday Recipes, by Nancie McDermott and Alison Miksch. Now busy home cooks can bring the fantastic flavors of Thai cuisine into the kitchen with a simple trip to the grocery store. Nancie McDermott, experienced cook, teacher, and author of the best-selling cookbook Real Thai, presents this collection of 70 delicious recipes that focus on easy-to-find ingredients and quick cooking methods to whip up traditional Thai. With recipes like Crying Tiger Grilled Beef, Grilled Shrimp and Scallops with Lemongrass, Sticky Rice with Mangoes, and Thai Iced Tea, along with McDermott's highly practical array of shortcuts, substitutions, and timesaving techniques, anyone can prepare home-cooked authentic Thai meals -- as often as they like. Learn more. Healthy Thai Cooking, by Sri Owen. 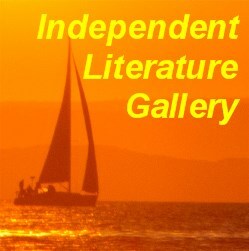 Photography by James Murphy. A guide to Thai cooking, offering dozens of delicious and healthy recipes, each one accompanied by a complete nutritional profile. 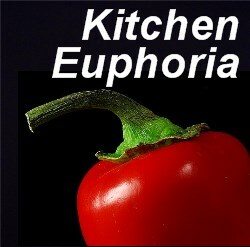 Recipes include savoury snacks, soups, salads, fish and poultry main courses, vegetarian offerings, sauces, relishes and pickles, and sweets. Sri Owen is a highly respected cook, a popular lecturer and the author of several award-winning cookbooks, including Indonesian Regional Food and Cookery, which was awarded the Langhe Ceretto Prize for the best recipe book and was shortlisted for a Julia Child Award. She lives in London. James Murphy has worked extensively in the field of food photography and has contributed to many major cookbooks. Learn more. Thai Street Food, by David Thompson. Thai Street Food transports readers straight into the bustling heart of Thailand’s colorful street stalls and markets--from the predawn rounds of monks fanning out along the aisles to the made-to-order stalls ablaze in neon and jammed with hungry locals after dark. Featuring nearly 100 authentic dishes plus lavish photography accompanying every recipe, this stunning cookbook is the definitive guide to Thailand’s culinary street culture. The recipes, such as Steamed Fish with Chilli and Lime Sauce, Pork Satay, Roast Duck and Egg Noodle Soup, and Sweet Banana Roti illuminate the beguiling world of food so integral to the Thais. Scholar and chef David Thompson lives with a singular passion for Thailand’s customs, culture, and people. Although he claims “It’s all about the food,” this ambitious work shares his insights into the rhythms and nuances of Thai daily life along with a fascinating history of its richly diverse street cuisine. This cookbook is a tempting, inspiring, and authoritative account of Thai street food, the vibrant culinary mosaic rich with community. Learn more. Thai Cookery Secrets, by Kris Dhillon. Discover how to create delicious Thai dishes using easily available ingredients and with surprisingly little effort. Kris Dhillon explains the basic principles of Thai cooking - fresh, flavoursome ingredients, correctly combined and quickly cooked - so that you can achieve the wonderful flavours Thai cooking is famous for. Many Thai restaurants in the Western world barely capture the true essence of Thai food but Kris shows how you can match the best Thai food from Thailand. 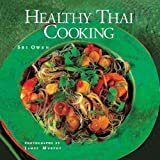 Recipes of this book include perfect pad thai, easy stir fries, aromatic soups, Thai tempura, quick vegetarian side dishes like steamed bok choy and garlicky broccolini, and a large variety of curries including the classic Thai green curry. Learn more. Quick & Easy Thai Cuisine: Lemon Grass Cookbook, by Panurat Poladitmontri. The foods of Thailand consist of many combinations and blends of different flavors, herbs, spices and peppers. It is a fiery cuisine which has become very popular due to the many Thai restaurants offering dishes that are appreciated by the adventurous and sophisticated palates of so many people of today. Thai cooking has been influenced by Thailand's neighbors, including Burma, India, Laos and Malaysia. Also coloring Thai cuisine are countries such as China and Portugal. The versatility of the Thai people enabled them to refine this variety of traditions to develop one of the most beautiful and flavorful cuisines in the world. Thai cuisine offers not only well balanced flavors but also the unforgettable fire of peppers (prig kee noo), which makes this style of cooking very addictive. The rich and varied sauces make each dish distinctive and unique. Learn more. Modern Thai Food: 100 Fabulous Thai Recipes for Contemporary Cooks, by Martin Boetz. A sumptuous collection of Thai-inspired recipes for the modern kitchen, Modern Thai Food contains 100 favorite dishes translated for home cooks from the acclaimed Longrain restaurants. Also included are recipes for the cocktails and 'stick drinks' that have made Longrain's bar famous, and a comprehensive illustrated glossary. This book gathers innovative Thai dishes from Sydney's Longrain Restaurant and the creations of Chef Martin Boetz, who provides 100 of his favorite dishes adjusted for home cooks. From a Crisp Roast Duck and Lychee Salad and a Stir-Fried Squid with Light Curry Sauce to Smoked Trout Salad with Sweet Thai Dressing, this packs in many recipes created by chef Boetz, not to be found in any competing Thai cookbooks, and is a top pick for any who already cook Thai cuisine and seek new directions. Learn more. Simply Thai Cooking, by Wandee Young and Byron Ayanoglu. This provides beginners with over 100 easily-prepared Thai dishes: unlike most Thai cookbooks, most can be prepared in under 30 minutes using ordinary ingredients available in any market (though access to an Asian market may be required for some items such as lime leaves and lemon grass). The first two editions of Simply Thai Cooking have sold over 100,000 copies, and it's not hard to see why. Thai cooking is exhilarating, it's exotic -- and it's easier to make than ever before. The exciting, flavorful ingredients can be found everywhere, and nothing else so magically combines the savory with the sweet, the tart with the spicy. These easy-to-follow recipes for a wide range of Thai standards are virtually foolproof and taste deliciously authentic. In addition to a new cover treatment, this new edition features 16 new color photographs of this wonderfully enticing cuisine. Learn more. Thai Food, by David Thompson. Renowned chef David Thompson first went to Thailand by mistake: a holiday plan had to be changed at the last minute, and he ended up in Bangkok, where he was seduced by the people, culture, and cuisine. Since that fateful trip some 20 years ago, Thailand has become David's second home. Working alongside cooks who perfected their craft in the Thai royal palaces, he began to document the traditional recipes and culinary techniques that have been handed down from generation to generation. The result is THAI FOOD, the most comprehensive account of this ancient and exotic cuisine ever published in English. David writes about Thailand and its food with an easy erudition, encouraging readers to cook and experiment, while simultaneously fostering a respect for the food and its stewardship through the ages. Although all the classic, well-loved recipes are here, this magnum opus features hundreds of lesser-known but equally authentic and delicious Thai dishes that will inspire cooks to go beyond green curry chicken and Thai fish cakes. David's passion and conviction are infectious; complemented by Earl Carter's superb photography, THAI FOOD captures all aspects of the dynamic Thai culture and cuisine. Learn more. Buddha's Table: Thai Feasting Vegetarian Style, by Chat Mingkwan. Buddha's Table presents a magnificent and joyful celebration of Thai cuisine that is guaranteed to add diversity and pleasure to your cooking and dining experience. It's easy to prepare any dish on a Thai menu with these guidelines and recipes from Thai chef Chat Mingkwan. Discover how to enhance the flavors that are found in Thai produce and spices and learn how to make your own curry pastes and sauces, the foundation for any great Thai meal. Chat's experience as a cooking instructor can be seen in his use of precise measurements, easy techniques, and simple instructions. These recipes have been tasted over and over by students and friends to ensure that they are flawless and delicious, but most important, that they manifest the Thai soul. Learn more. Tommy Tang's Modern Thai Cuisine, by Tommy Tang. Tommy Tang, celebrated chef and owner of Tommy Tang’s restaurants in Los Angeles and New York, shares his flair for creating unique, delectable cuisine from his native Thailand in Tommy Tang’s Modern Thai Cuisine. Here, he presents over ninety of his signature recipes, which combine elements of Japanese, Indian, American, and European dishes with traditional Thai flavor. Although the flavors may be exotic, Tommy has made his recipes as simple as can be. Most dishes require only standard utensils, and many call for ingredients easily found in supermarkets. Easy-to-follow instructional illustrations guarantee professional results, while beautiful full-color photographs help you choose the perfect recipe for your next cooking adventure. If you love Thai food, but have always thought that it was beyond your culinary reach, Tommy Tang is here to change your mind. Let Tommy Tang’s Modern Thai Cuisine bring the joy of Thai cooking to your home. Learn more. 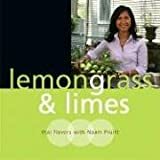 Lemongrass & Limes: Thai Flavors with Naam Pruitt, by Niramol Pruitt. 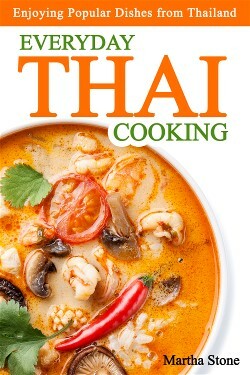 Discover the secrets of exotic Thai cooking with this collection of authentic, easy-to-follow recipes. With its exquisite photographs, extensive glossary, garnishing guide, and fun facts about Thailand, Lemongrass & Limes will be a big hit with both expert cooks and new beginners. 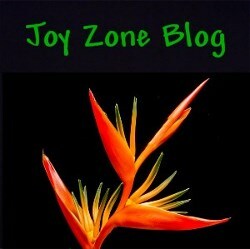 Join Naam Pruitt on this wonderful journey of spices, herbs, and flavorful feasts. Not only is this book easy to read, fun to use and cook from, but also it is beautiful to set on the kitchen counter! Learn more. Real Vegetarian Thai, by Nancie McDermott. 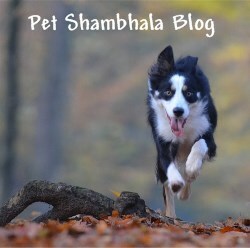 Real Thai has gone vegetarian! Everyone loves Thai food, but it's not easy to find truly meatless dishes. Thai cooking expert Nancie McDermott has developed inventive variations on traditional recipes, providing health-conscious cooks with a repertoire of meatless dishes that captures the vibrant spirit of Thailand. A helpful glossary introduces readers to the seemingly mysterious yet widely available ingredients and equipment used in Thai cooking and offers tips for finding or substituting them. With an emphasis on the classic techniques, ingredients, and flavors of Thai cuisine, this groundbreaking cookbook provides one hundred delicious recipes for everyday meals and special occasions. Nancie McDermott is a food writer and cooking teacher specializing in the cuisine of Thailand, where she spent three years as a Peace Corps volunteer. Her food articles have appeared in numerous magazines, and she is the author of the perennially popular cookbook, Real Thai. Learn more. Easy Thai Cooking: 75 Family-style Dishes You can Prepare in Minutes, by Robert Danhi. Thai cooking has taken the world by storm. Its rich combinations of sweet, sour, salty and spicy flavors makes Thai dining a complete sensory pleasure. 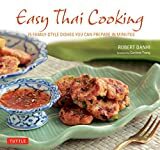 Robert Danhi's Easy Thai Cooking features 75 delicious Thai recipes that you can prepare any day of the week. James Beard nominee and CIA trained chef, Robert Danhi gives you expert guidance on acquiring and maintaining a well-stocked Thai pantry. With basic ingredients and his step-by-step instructions you can make stunning dishes like Grilled Chicken Wings with Kaffir Lime Chili Glaze or Sweet-n-Spicy Pork Ribs or Green Mango and Cashew Salad. 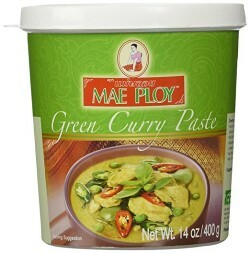 With the help of Easy Thai Cooking, you can bring the taste of Thailand home! Learn more.